Auch unser 2. Cologne Popfest werden wir immer in Erinnerung behalten. Dafür möchten wir uns bedanken! Bei unseren acht Lieblingsbands Brideshead, Night Flowers, Close Lobsters, Evripidis, The BV's, The Lodger, Comet Gain und The Primitives! Bei unseren DJs La Wersch, Gregor, Dimitris und Ronny! Beim Blue Shell und seinem Team, Soundtechniker Chris und vor allem Christin! Beim Kulturamt der Stadt Köln und Till Kniola für den Support! Bei Steffi, der Schöpferin unseres Designs (Keili <3)! Und bei Euch natürlich! Wir sind schon ein wenig stolz darauf, was für ein großartiges Publikum wir zwei Jahre in Folge hatten. Wir hatten uns erträumt, dass unsere Gäste wegen der Bands kommen und so war es. Euer Vertrauen in uns Festival-Anfänger ist fantastisch! Das alles hat uns enorm viel Spaß gemacht! Und es motiviert uns für alles, was folgt, Popfest 3 vor allem! Wir freuen uns aufs Booking, auf die Vorbereitung und auf Euch! 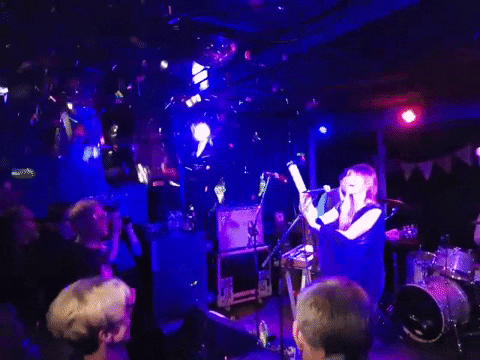 Das Cologne Popfest 2020 findet am 20. und 21.03.20 im Blue Shell statt! Our second Cologne Popfest will always be in our heads and hearts, thank you! Thank you to our eight favourite bands Brideshead, Night Flowers, Close Lobsters, Evripidis, The BV's, The Lodger, Comet Gain and The Primitives! To our DJs La Wersch, Gregor, Dimitris and Ron! To our lovely venue Blue Shell and its team, sound engineer Chris and especially Christin! Thanks to the city of Cologne for the great support! To Steffi, the designer of our artwork (and little Keili!)! And a special thanks to all of you! We are proud to have such an amazing audience. When we started our Popfest we dreamed we would attract music loving guests. And that's exactly what we got! Your trust in us festival rookies is fantastic! Everything about Cologne Popfest is so much fun for us. Your reactions are a huge motivation for everything to follow, especially Popfest 3. We are looking forward to book the next favourite bands, to all preparations and - most important - to see you again! Cologne Popfest 2020 will take place at 20th & 21st of March 2020 at Blue Shell!